“I have seen firsthand the high level of care these fine physicians, nurses and health care professionals provide,” says Parker’s CEO. Georgia entrepreneur Greg Parker, president and CEO of The Parker Cos., recently announced a $1 million donation to help begin a major renovation and expansion of Memorial Health’s emergency department and Level 1 trauma center in Savannah, Ga.
Once built, the center will be named the Parker’s Emergency & Trauma Center in honor of Parker’s Convenience Stores. Built in 1992 to accommodate up to 45,000 visitors per year, Memorial received 95,000 emergency visits last year, with more than 20,000 coming from outside of Chatham County and South Carolina. Another 2,800 people received care in Memorial’s Level 1 trauma center, the only one of its kind between Charleston, S.C., and Jacksonville, Fla. The donation, although on behalf of his corporation, is a deeply personal one for Parker. Last year, he underwent a six-and-a-half hour emergency surgery at Memorial, and estimates he has visited the ER either as a patient or as a father eight times. He was struck by the fact that not many of us get through life without at least one emergency medical experience. In addition, Parker serves on the Memorial Health Foundation’s Board of Trustees, charged with fundraising and overseeing the hospital’s capital campaign. He has worked on a number of projects with Memorial’s emergency center, including a project with Savannah College of Art and Design to identify and implement best practices and improve the patient experience at Memorial. This million-dollar donation was a way to ratchet up Parker’s philanthropic impact in a way that is meaningful to all of Parker’s customers. The million-dollar gift fits with Parker’s corporate goal of giving back to the communities where the company does business. In fall 2011, Parker’s launched the Fueling the Community Program, where one cent of every gallon of gas sold on the first Wednesday of each month is set aside for local schools. Parker’s has donated more than $100,000 to public and private schools in Georgia and South Carolina. “Some hospitals only take patients with insurance, but Memorial takes care of everyone. Parker’s mission is to make every resident our customer. If I’m going to make an investment, I want it to be something significant and meaningful; something where I can really make a difference for the great communities who have made Parker’s a success. 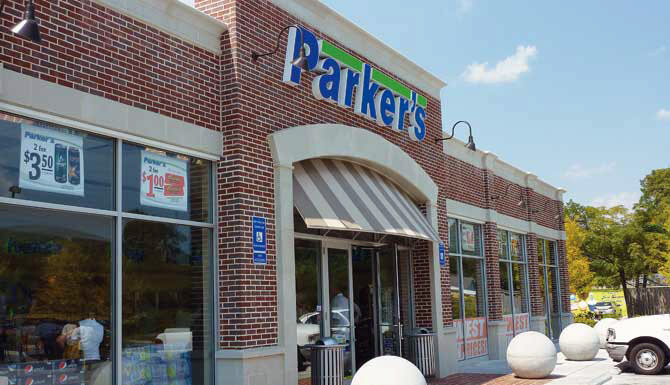 The Parker’s marketing footprint falls within the geographical region that Memorial serves. This isn’t just a business; it’s our community,” said Parker. For more information, visit Convenience Store Decisions.